A showcase of the couturier's French background and the fashion house's evolution, Christian Dior: Designer of Dreams features the intricacy of their past designs within the halls of Victoria & Albert (V&A) Museum until July 14 this year. The Christian Dior: Designer of Dreams exhibition includes beautiful highlights from post-World War II when Dior dressed Princess Margaret for her 21st birthday, to the present where actresses and models donned his designs and the manifestations of the six artistic directors who have succeeded him. The endurance of his ball gowns and the delicate scents of the bottled perfumes are given centre-stage in the Sainsbury Gallery of the museum, together with descriptive timeline of his impact in fashion like the Dior’s famed Bar Suit and the launch of the Miss Dior fragrance in 1947. With over 200 rare Haute Couture garments showcased alongside fashion photography, film, accessories and Christian Dior’s personal belongings; the show reveals sources of inspiration from the extensive Dior Archives as well as the Parisian designer’s mystifying fascination to British culture. Eleven sections are displayed to signify Dior's biography and development in the fashion world and one of them is The Ballroom division where the craftmanship of ball gowns from the past 70 years can be admired. Read also: Inside The Private Viewing of Dior Lady Art #3 In Malaysia. 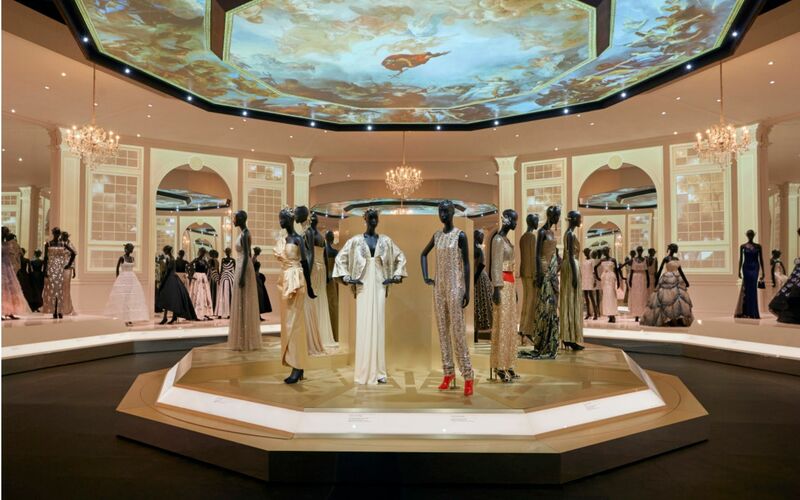 The exhibition is based on Christian Dior: Couturier du Rêve organised by the Musée des Arts Decoratifs in Paris and is curated by Oriole Cullen for the V&A museum. As V&A’s latest in their series of major fashion exhibitions, Christian Dior: Designer of Dreams is designed by Nathalie Crinière.